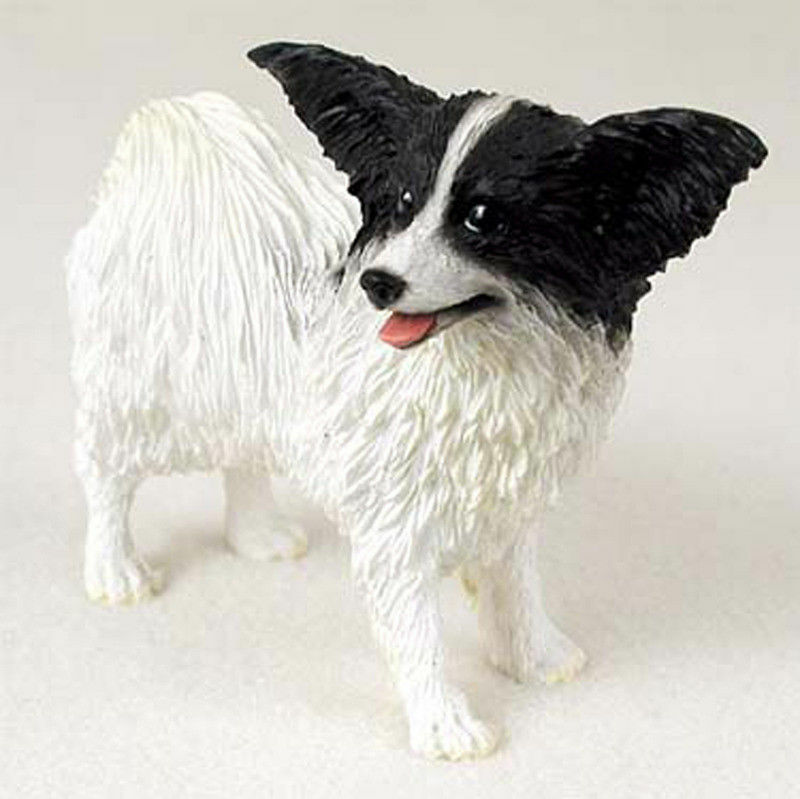 Our Papillon figurine has all the signature characteristics this dog breed is known for. 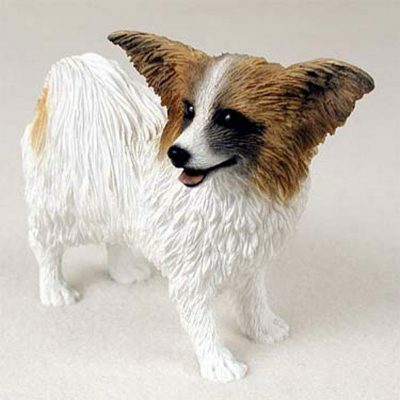 The ears are the main highlight of this figurine, standing as the largest feature on the dog. They are pointed with feathering graduating to connect with the dog’s face. The head is mostly brown with the exception of a white strip down the center of the dog’s forehead and nose. 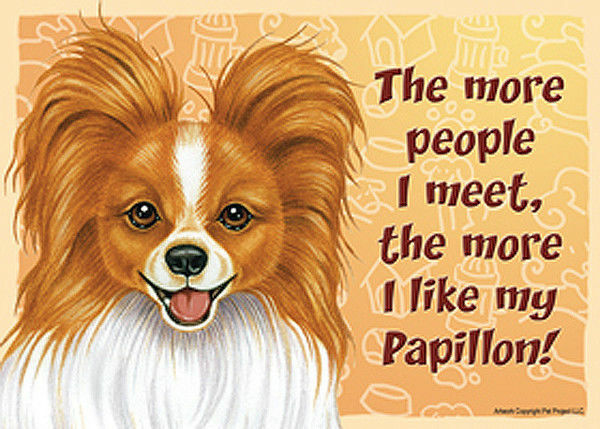 There is black on the nose, the eyes, and under the eyes to create shading and to accent the details on the dog’s face. The rest of the body is white with a light brown marking towards the hindquarters. 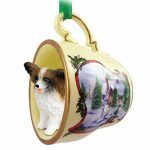 The figurine stands on all four paws with a body longer than it is tall. These life-like figurines are perfect for any Papillon dog lover who wants to display the love they have for their favorite breed. They are also great for large doll houses!